There are a lot of plumbing components and fixtures that you’ll come into direct contact with each and every day, from your bathtub and toilet to the kitchen sink and your garbage disposal. 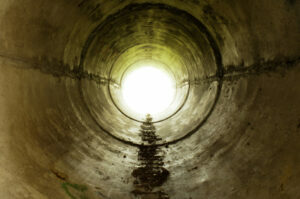 Others, though, like your sewer line, are very frequently in use, but hidden away from view. You may not interact directly with your sewer line — and you probably wouldn’t want to, considering its function — but its overall performance quality is incredibly important to your daily life. That is why we strongly recommend that you let us keep your sewer line clean. With our hydro-jetting services in Lakewood Ranch, FL, you can use your sewer line with the reliability that you deserve. Just because your may not think about your sewer line much doesn’t mean it doesn’t deserve professional attention! For shallow clogs in your drains, a hand auger may be enough to clear it out. More serious clogs may require that your professional plumber use a power auger. When cleaning out a sewer line, though — and there is a big difference between cleaning and clearing — hydro-jetting really cannot be beat. When we clean your sewer line with hydro-jetting equipment, we use only water in the process. The water is highly pressurized, and is regulated by our team to ensure that it does not damage your plumbing system in any way. With a nozzle that sprays in all directions at once, we can scour the interior surfaces of your pipe, rather than just drill through a blockage with an auger head. This means more long term benefits, and a greatly reduced risk of problems redeveloping. Call us today at 941-322-1911 and find out why our customers say, I Love My Plumber!